This time I brought to you what I think is my best aircraft to date! 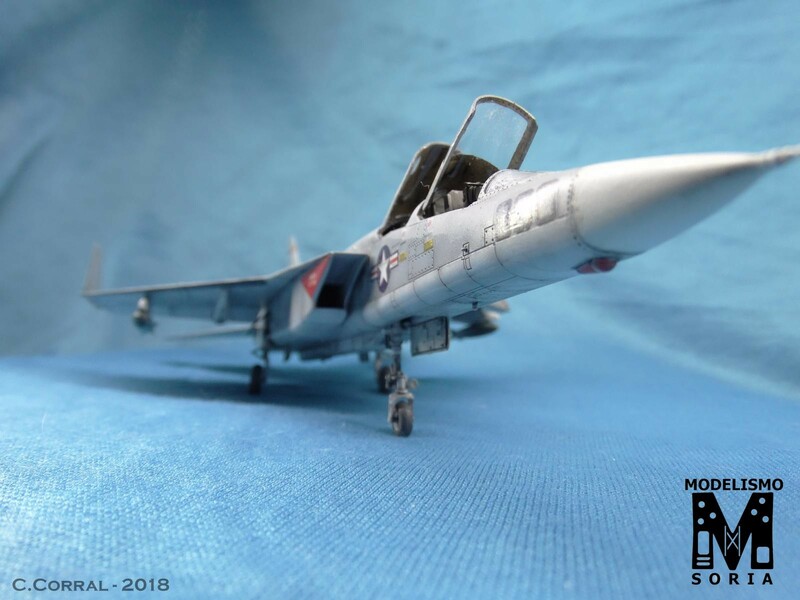 I have a customer who loves weathered aircraft, and I’ve been working for him for some time making some minor aircraft (like the MiG-23 that you can see here ==> http://imodeler.com/2018/03/mig-23-flogger-a-airfix-1-72/). This time he gave me the RA-5C from Trumpeter, and he specified “heavy weathering” as a priority. When I received the model, it was a mess: it didn’t came in a box and some parts were missing (this only to save on the mailing service). So I listed every part, and only a couple of minor parts from the landing gear were missing. So I started, as usual, with the cockpit. I must say that it’s one of the most detailed cockpits I’ve ever seen. It even comes with the dials in an acetate sheet!. After checking the real machine, and painting it properly, it was time to move to the fuselage. I must point however, that you MUST set the forward landing gear before adding the cockpit to the fuselage (I learned this the hard way…). And here comes what I think so far it’s the major problem: the fuselage union is logitudinal and doesn’t have any internal supports to add consistency. Unfortunately, this means a lot of putty to level it, and some rivets missing with the sanding process. Anyway, the remaining parts are way better. 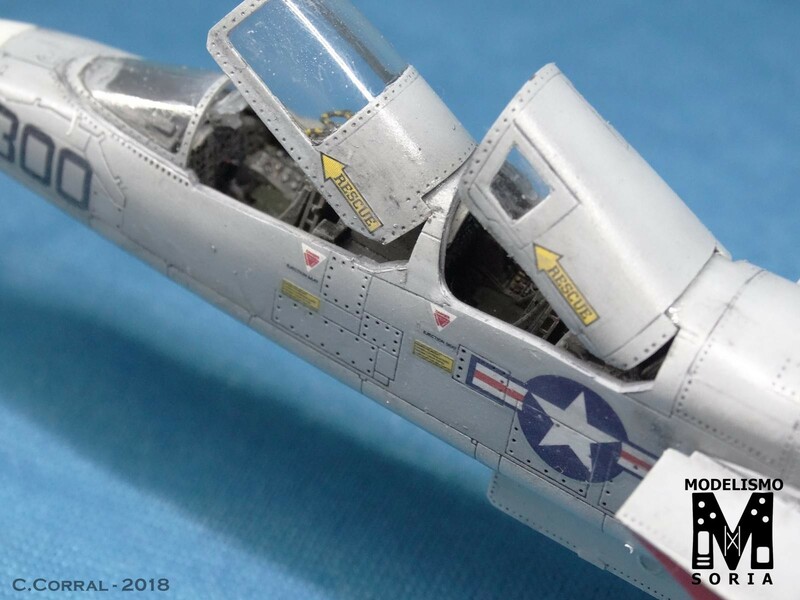 The model comes with an exceptional detail in the riveting and panel lines, and in general (excluding the fuselage), no putty is needed. Then it was painting time! I started with cold gray (Vallejo Model Color) as base, and Primer White (also from Vallejo) for the under part. Then I started to add white little by little to the cold gray to get a lot of chromatic tones in certain panels. This process took me about a couple of days to complete. 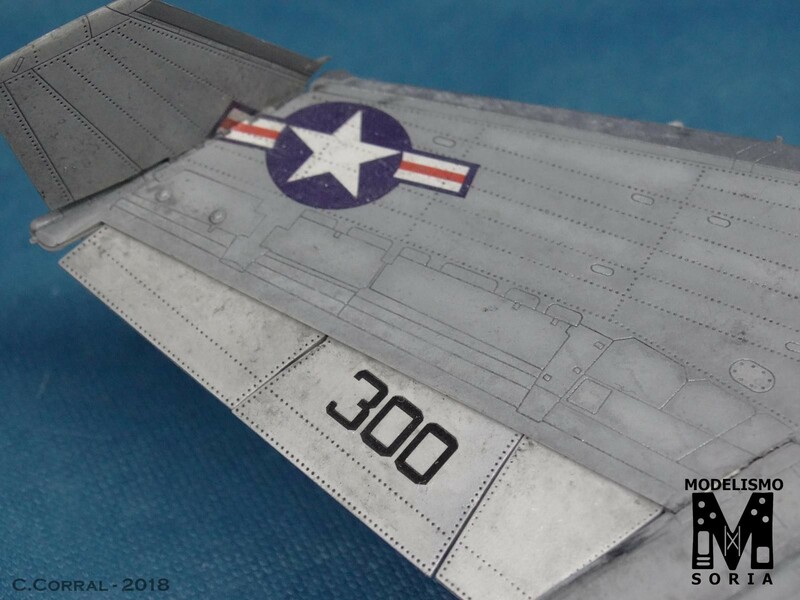 After varnishing and adding the decals, it was the turn for the weathering process. I started by enhancing the rivets with grey oil. Then, after the oil was completely settled, I added random spots of highly diluted black and white oil on the upper surfaces. After waiting a couple of minutes, I used an sponge with AK enamel thinner to mix those spots, and then with a piece of cotton I started to dry the oil, leaving a random pattern of spots, imitating the weathering from the use and climate. 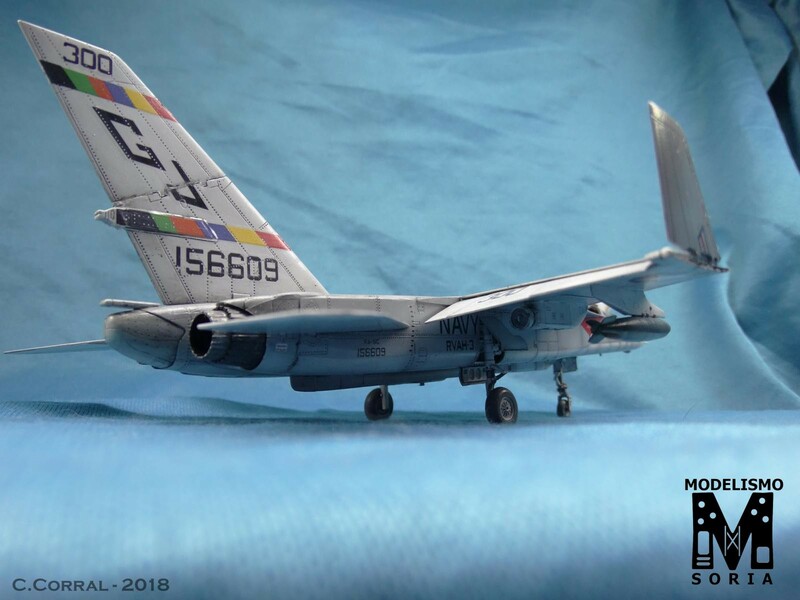 After adding the armament, which by order form the customer were the Mk.43 bombs and flash pods, and the landing gear, it was completely finished. In the end, It was a really good model to build, very enjoyable and pleasant. The customer loved it. 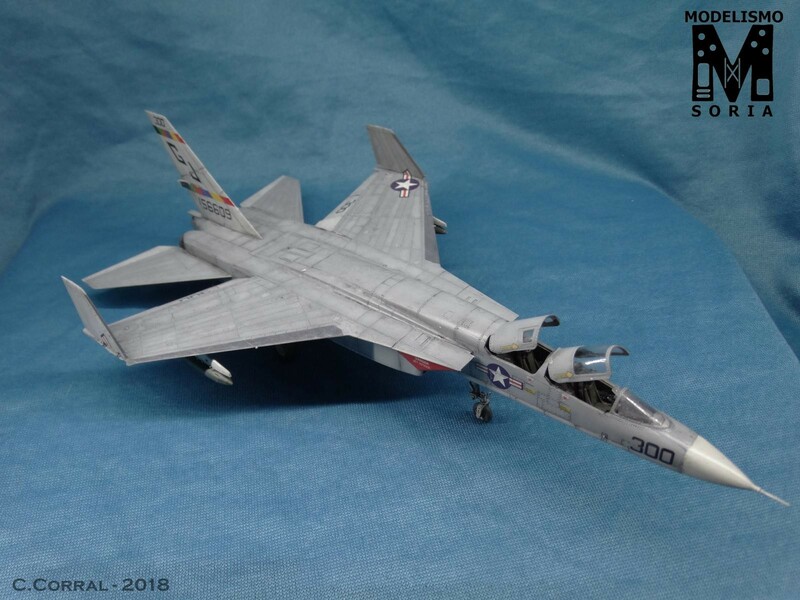 I think this is a “must build” model for every aircraft modeler, and it’s a really good model to have in your collection! Nice Viggie!! 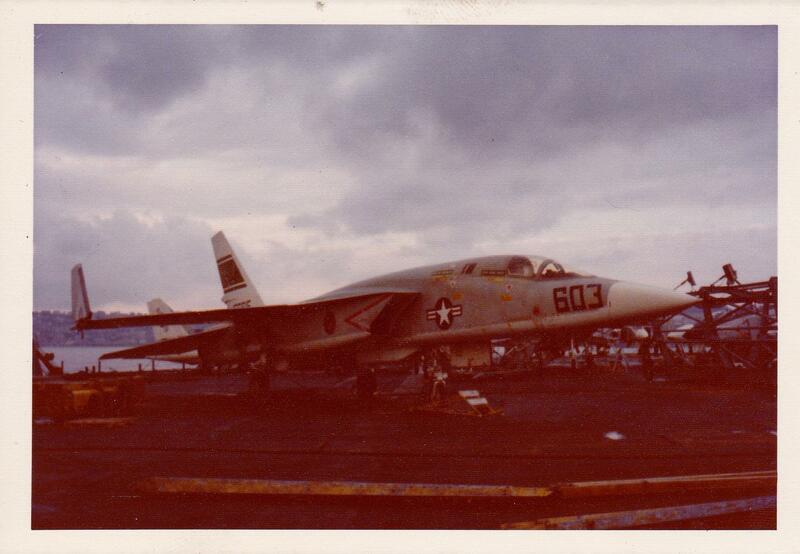 added photo of RA-5 on Nimitz 1977. Now I see the picture I’ve noticed that I’ve put the danger arrows in the wrong place XD (what a fail from trumpeter). Anyway, thanks for commenting Robert! Good lookin’ build – don’t see many of these. I like this one ! Now I want one for myself! Thanks Craig! This is arguably the best recon asset the US Navy had in use over Vietnam. 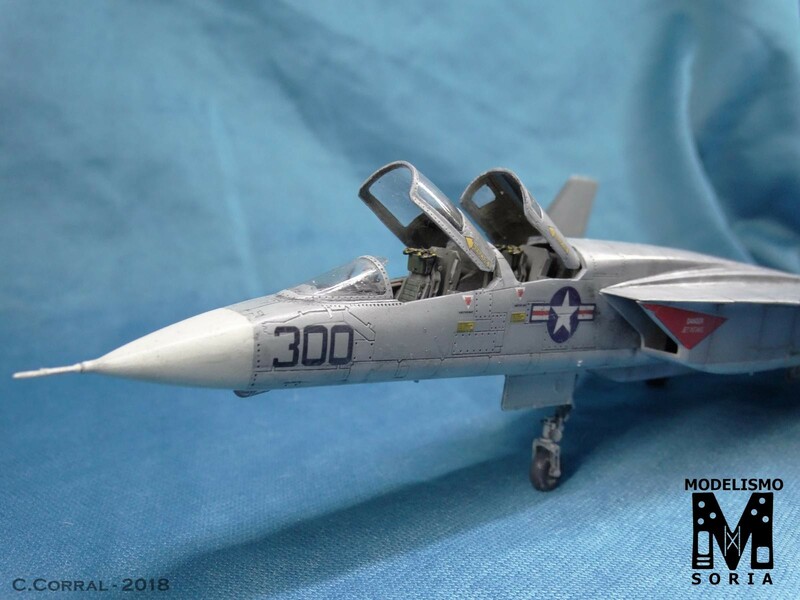 Trumpy released the 1/48 scale version as well but has lots of errors, especially the hump behind the cockpits. Needless to say your Vigilante looks AWESOME. Well done!!! Thank you for commenting Morne! You’re the only guy I have ever known to complete one of these kits. 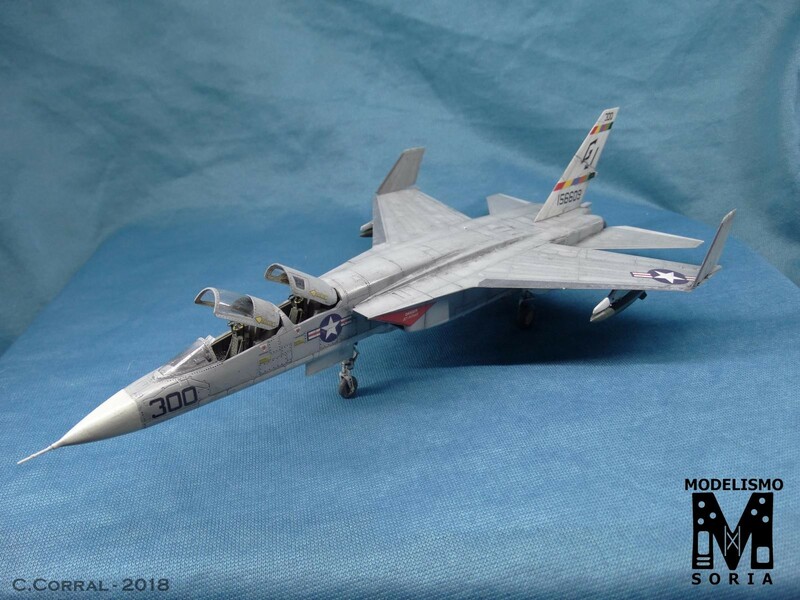 I think of all the Trumpeter “disappointments” (and there are many), modelers were most upset by the 1/48 RA-5C and only slightly less with this kit. BTW – as someone who was in the Navy at the time the RA-5C was in the Navy and saw more than a few at NAS North Island, they were never “weathered.” They were extremely well-maintained, in order to maintain their performance. 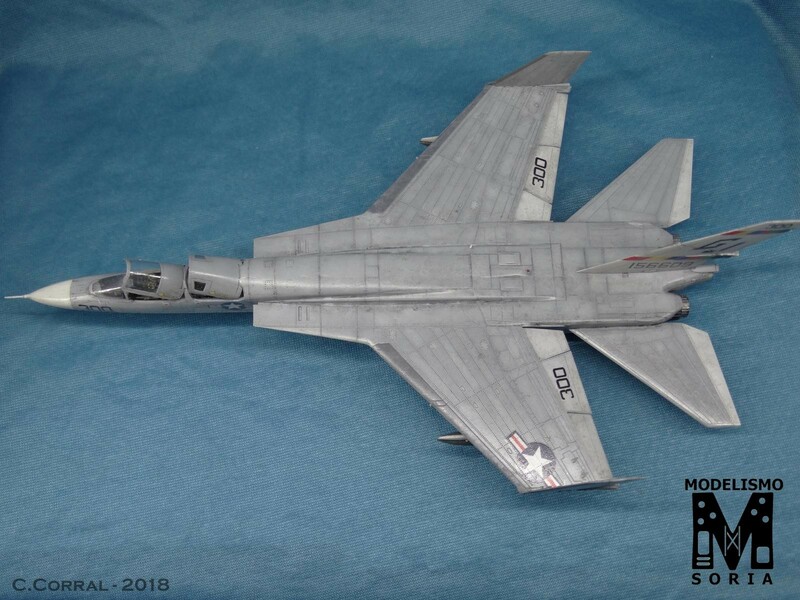 The fact they could make a run across North Vietnam at Mach 2.2 was what made them the most effective photo-recon airplane of the war. You don’t get that sort of performance with a “weathered” airframe. It’s hard to believe that a Vietnam aircraft is not weathered and clean. I’ve seen a lot of f-4 pictures with a lot of weathering. Anyway, the customer wanted it, and I did it. I will take notes for the future, in case I decide to build one for myself. Thanks for the info and for your comment Tom! Well let me tell you, that is one nice Vigi. And I will have to disagree with Tom on them not being weathered. I was in RVAH-6 from 1974 to 1977 and I was in the corrosion control shop that did all the painting and repair of the paint system. They only time they did not look weathered is when we got them back from depot after being reworked. and after a 7 to 8 month cruise they looked worse than you made yours look. So first hand experience says GREAT job. I just got my kit in and have all the decals to build one of the ones I worked on. When I have a chance I will post pictures of them being worked on. This was one of most beautiful (and fastest!) 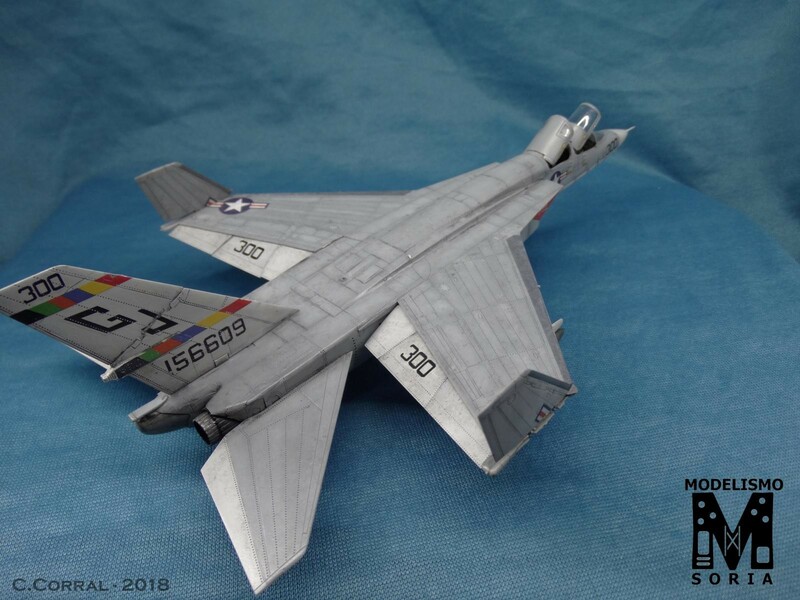 jets of the Navy in the years 1960-80, and you assembled a nice model of it (liked it!). I think however that the Mk.43 bombs are an inappropriate addition… as far as I know, Vigilantes were used only in the fast reconnaissance role. I think that the armament was not really a good adding, but the customer demanded it. It happens a lot of times that a customer wants something that is not historically accurate. Thank you for commenting Peter! Taking all comments into account its a nice looking build anyway. 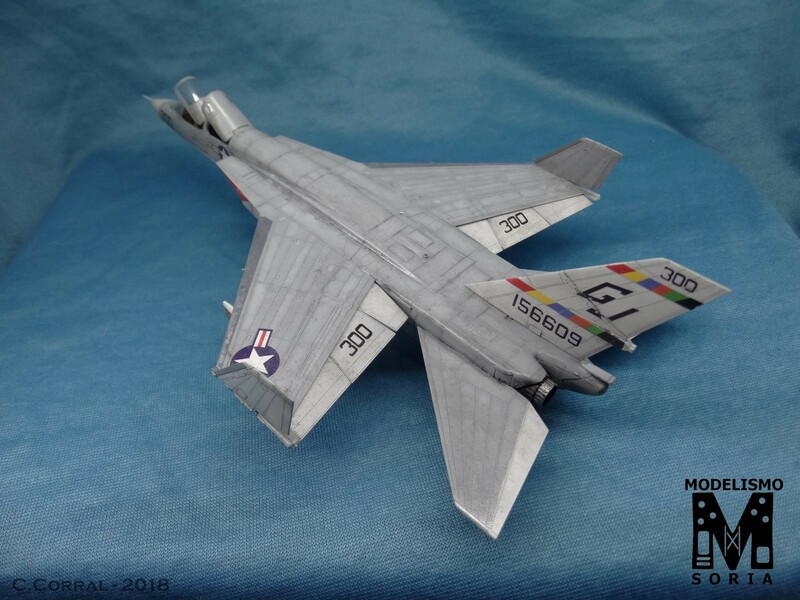 Nice looking A-5! And thanks for describing your technique to break up the grey – I’ll try that sometime. I know you can achieve the same or better result with the salt technique, however I’m not able to do it properly, so I tried with oils. I think It’s good enough. If you try it, tell me if it works for you! Claudio, this is an very nice looking build. Your paint scheme and weathering technics are first rate. 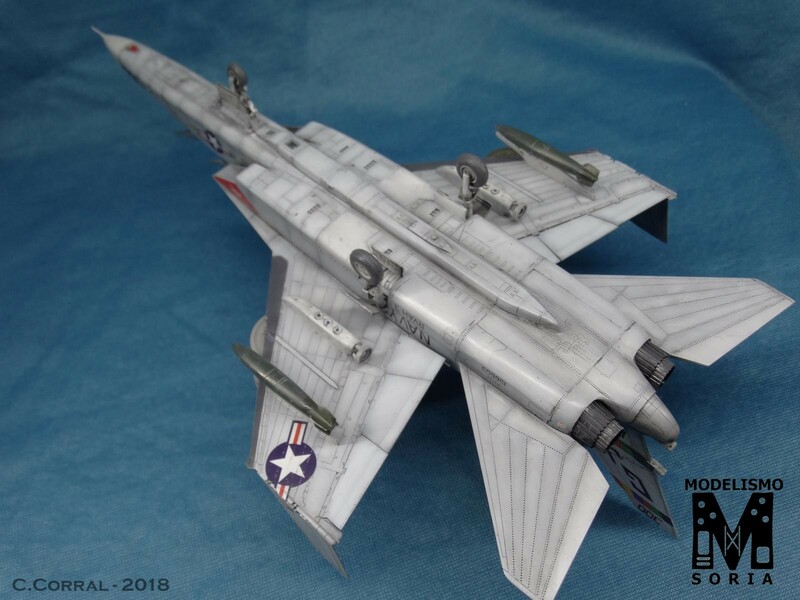 You’ve taken what I’ve heard is a tough kit and delivered a very good looking model. Well done. Now with that said, I also have to say that I am somewhat disappointed in some of the non gentleman comments here. My personal feelings are if I can give someone a pointer that will help in future builds, that’s fine. I will not, however criticize anybody who builds something and give a “show off /know it all” opinion that really has no barring on the quality of the build. As far as I am concerned, no one likes a rivet counter. Therefore Claudio, this is a nice model, I like it a lot. Please keep them coming, I’d like to see more of your stuff. Great Vigilante, Claudio! The Vigilante is my favorite Navy jet of all time. That internal bomb bay (as designed) that would release the nuclear bomb almost like laying an egg was an interesting idea in a Mach 2.2 jet. Awesome! Great painting and detailing with a wonderful narrative to explain it all. I understand Tom’s point because he was there. I also understand how if this is what the customer wants, this is what the customer gets! This isn’t a plane to go in the Smithsonian, after all … though quality-wise, it could! Great work, Claudio. My vote goes to ‘customer is always right, so long as their money’s good’.